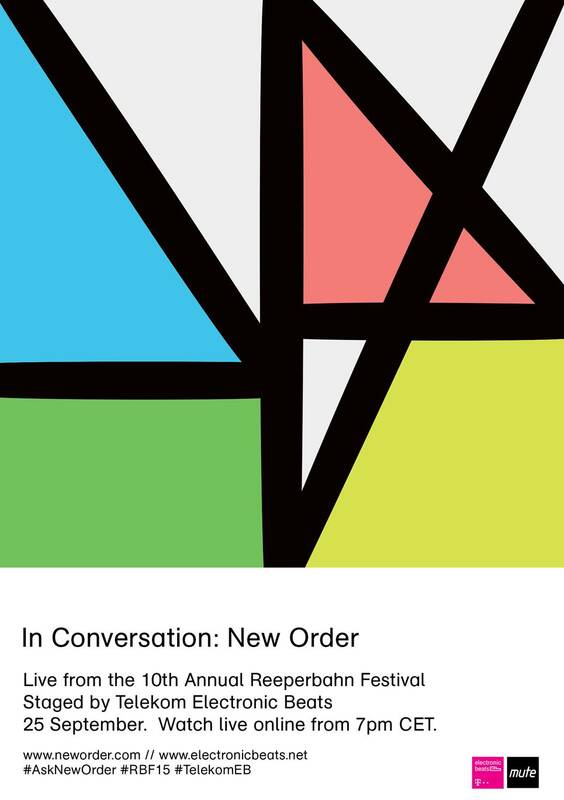 September 25, 2015 will be a big day for New Order—and for us. Not only is it the release date for the seminal British post-punk band’s next album, Music Complete; it’s also the day we’re hosting a conversation and Q&A with the former Slices stars at the 10th edition of Hamburg’s Reeperbahn Festival, which we covered last year. We’re excited to reconnect with the band after presenting one of their concerts in Berlin in 2012, and this time we’ve got a few exciting tricks up our sleeves. At 19:00, we’ll open doors at the Grünspan club and host the world premiere of the new LP, and you’ll be able to stream it live on our website along with the rest of the night’s proceedings. After that, stalwart DJ and producer Arthur Baker will speak with New Order and host a special Q&A that allows fans from around the world to ask the band their own questions. You can participate in this exclusive opportunity by posting your queries to Twitter and/or Facebook with the hashtag #AskNewOrder, and Baker will relay them to the group live onstage. We’ll close out the night with DJ sets from New Order’s drummer and keyboardist Stephen Morris, Mute founder and semi-recent Slices subject Daniel Miller and Baker, who also produced classic New Order hits “Confusion” and “Thieves Like Us.” The full lineup for the evening, which you can check out below, also includes Norwegian singer-songwriter Emilie Nicolas and Belgian indie rock band Balthazar. Although this is a private event, you’ll be able to stream it all online, and a few lucky people will win tickets. Stay tuned for further details. What’s your question for New Order?